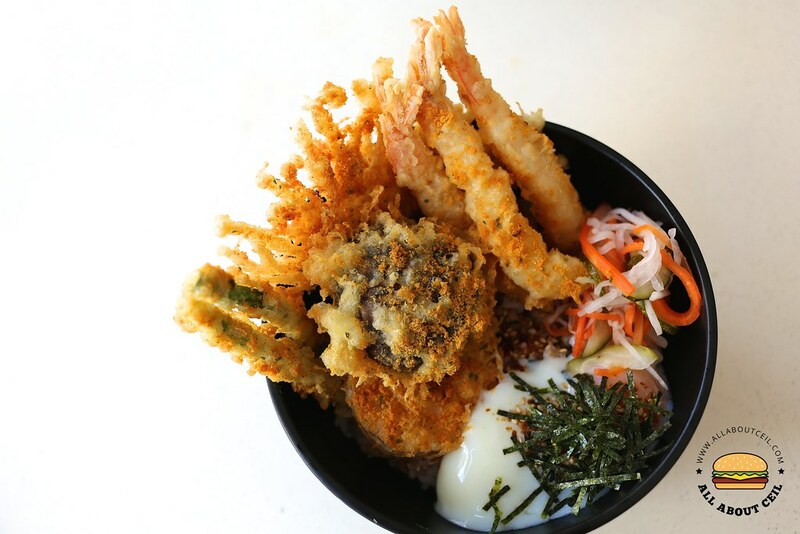 It has only started on 19 December 2016, it is a hawker stall in a coffee shop serving Western-Japanese fusion Donburi. 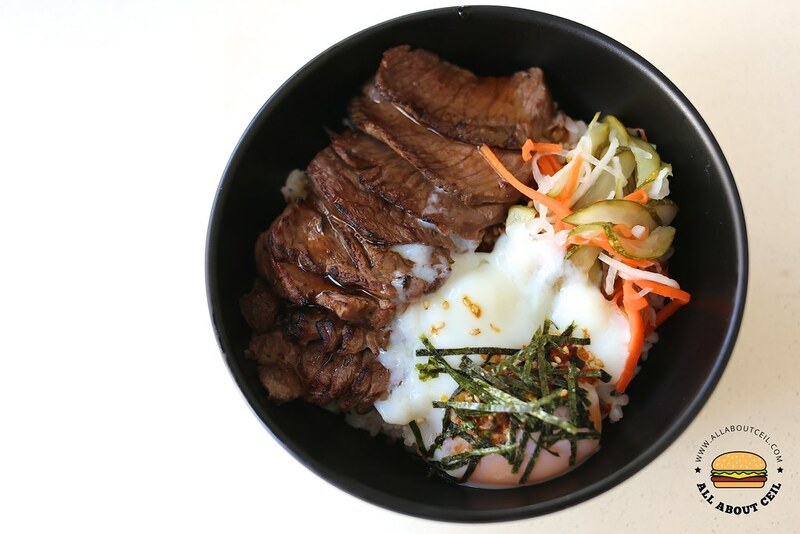 As it stated on their Facebook page that they "aim to bring you the best in Western-Japanese fusion Donburi through the finest selection of meats and fine-dining cooking method". 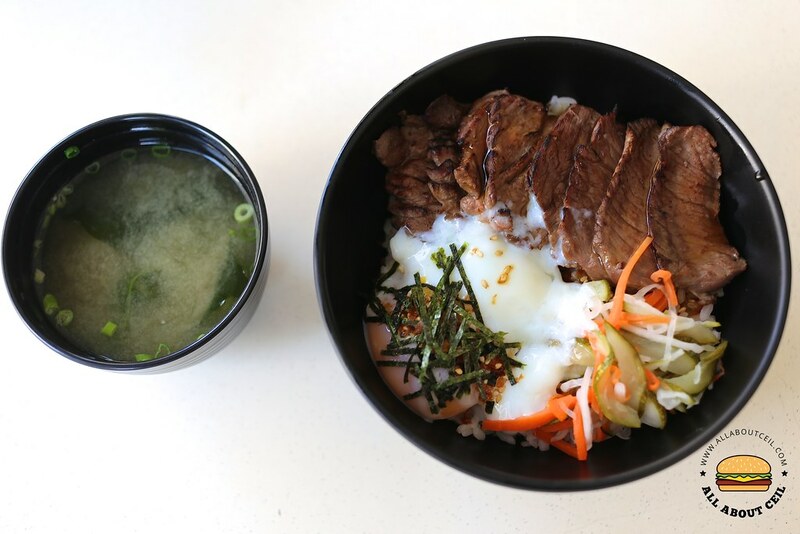 They are serving 6 different types of Donburi: Wagyu Beef Don ($12.90), Salted Egg Tempura Don ($9.90), Mentaiko Salmon Don ($9.90), "Sio Bak" Don ($8.90), "Dak Gang Jeong" Don ($7.90) and Garlic Parmesan Chicken Don ($7.90). There are also side dishes like Blooming Onion ($5.00), Dragon Fries ($6.00), Dak Gang Jeong ($6.00), Buttermilk Crispy Wings ($6.00) and Over-baked Blue Ginger Wings ($6.00) to go with dips like Truffle Aioli ($0.50), Wasabi Mayo ($0.50) and Japanese Curry ($0.50). Miso Soup is also available at $2.00. I decided to go with the Wagyu Beef Don and when I could not decide on the other item to order, I asked for the recommendation. I was told that their 3 best sellers are Wagyu Beef Don, Salted Egg Tempura Don, and Mentaiko Salmon Don. The handsome chap that was taking my order said, "It actually depends on the type of texture that you want". I went with the Salted Egg Tempura Don. And, he asked, "Do you want to go with Miso Soup, it is only at $1.00 when you order a Don?". I decided to get just a bowl. I paid a total of $23.80. I asked, "Would you serve it to me?" as I overheard he was asking the customer in front of me for the table number. I did not take notice of the "Self-service" signage displayed near the right corner of their stall. That chap did not point it out but agreed to send it to our table. This is a part of good service. Both orders were served at the same time in about 10 minutes by the same chap, he said, "I will bring the Miso Soup over later as it's not hot enough". He brought it over in a couple of minutes together with the receipt which I was not given earlier. 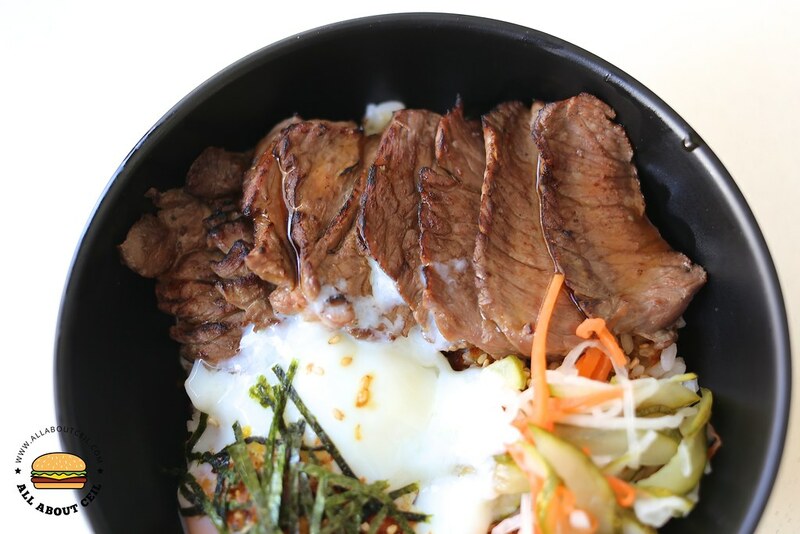 Wagyu Beef Don consists of 54 degrees sous vide Wagyu beef with donburi sauce and served with 72 degrees onsen egg and japonica rice. Apparently, i did not like it as much. The texture of the beef was slightly tough and too chewy to my liking. Those sliced beef seemed to be overcooked based on its color. And, I felt Miso Soup with only wakame and silky tofu is not quite worth the $2.00 and not even at $1.00 when order as a set. It did not have much of the miso flavor, a little too light and diluted. 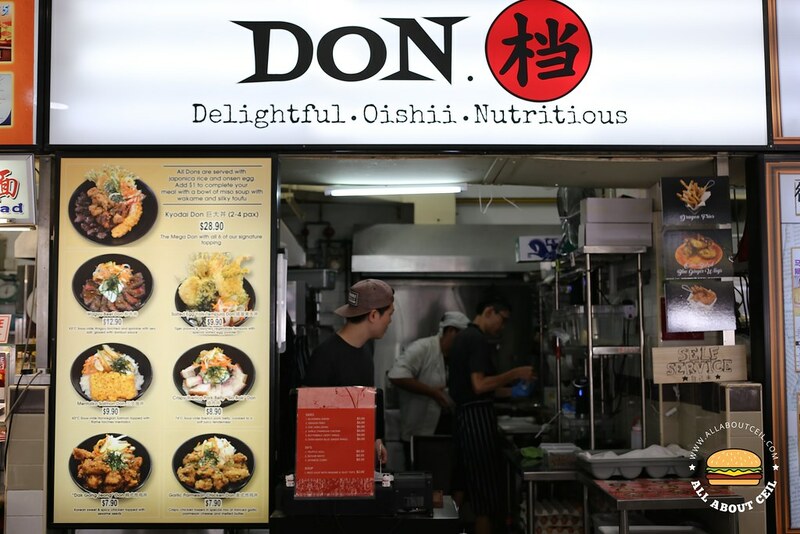 I understand the reasonably high costs involved in running a hawker stall but I still think that they might want to consider to give it as compliment together with an order of Donburi. 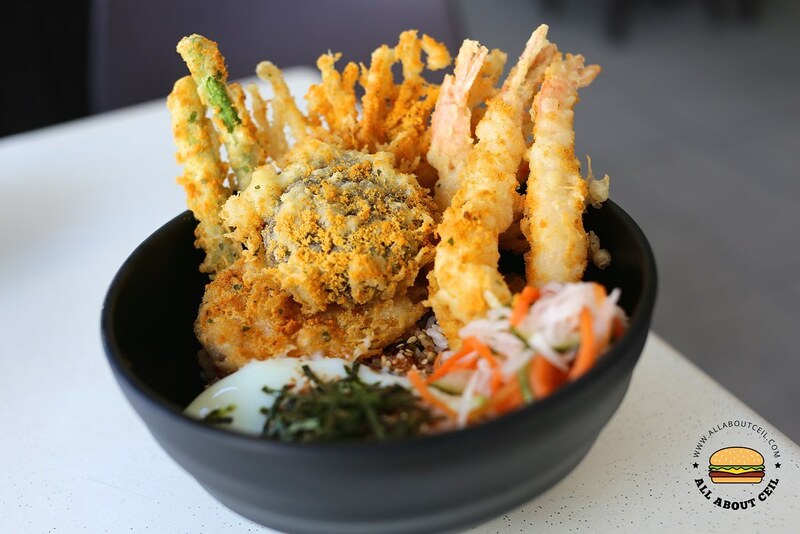 The Salted Egg Tempura Don consists of tiger prawns and assorted vegetables fried in tempura butter then sprinkled with their special salted egg yolk mix and also served with 72 degrees sous vide egg and japonica rice. It might not be disappointing if they just named it Tempura Don as I could not taste much of the salted egg flavor from their supposedly special salted egg yolk mix. Those tempura pieces were lightly battered and deep-fried well to get that desired crispiness, it was nicely done actually. Though the overall taste was far from 'Oishi' but the stall is only less than a month old, they still need time to fine-tune as well as to make the improvement. I would just give it another go but not too soon.